What Is Your Heart Seeing? The eyes of the human heart and mind are more powerful than you and I can imagine. What you “see” is what you believe to be true. What you “see” defines your world! It defines the way you live your life, they way you respond to circumstances, the way you interact with people, what you do and don’t do, and ultimately who you become. I have noticed that many great men and women in history understood this principle, and they cultivated in themselves the ability to observe the world around them and within them with engaged, inquisitive minds. This habit took them from being merely ordinary people to becoming visionaries, philosophers, inventors, and innovators. Two of my favorite quotes that illustrate this principle were said by one of the greatest artist in history, Michelangelo. 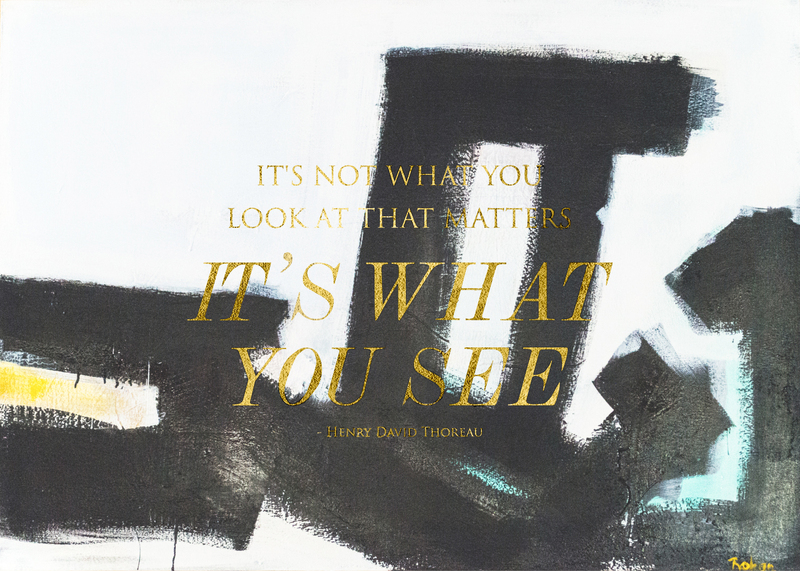 What are you “seeing”? What are you envisioning? What picture are you painting for your life, business, or anything you are trying to accomplish? Are you so focused on your shortcoming that you can’t “see” who you could become? When your day is not turning out the way you planned, are you seeing the potential for growth or are you too focus on the negative? If you are a mom, are you “seeing” your child for what he/she could be? As a employer, are you seeing the potential that lies within your employees? Are you merely looking at the stone or are you seeing the masterpiece hidden within? To inspire change within ourselves, the world we inhabit, and the people around us, we must cultivate the art of actively observing and began to see the potential and possibilities of what could be instead of merely looking at what it is now.